brewed and canned in Brighton! 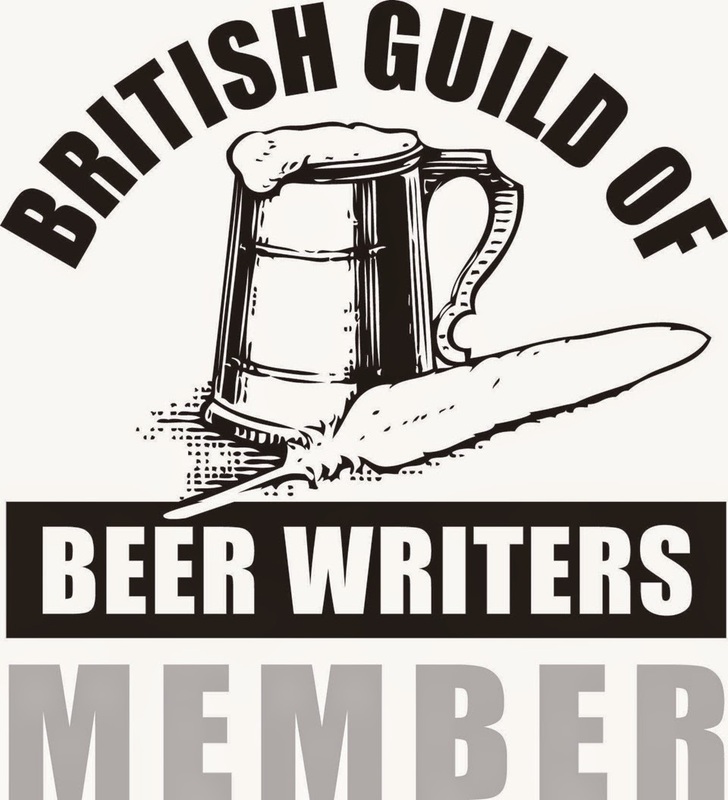 Brighton Bier was one of only three UK breweries to win Gold in any category from over 630 beers from 30 countries worldwide that entered the competition. Exciting news this week in Brighton's thriving beer scene as local craft brewery Brighton Bier made history! Despite the city's rich brewing past, never before had a beer actually been brewed and canned in Brighton. Well now it has. Brighton Bier's signature 4.0% ABV Pale Ale is now available in eye catching 330ml cans. The beer won Gold at the International Beer Challenge 2015, and is also registered with The Vegan Society. Founded in 2012 as a gypsy brewery based at the Hand in Hand brewpub on St James's Street, Brighton Bier had long harboured ambitions to get its flavoursome brews into cans. 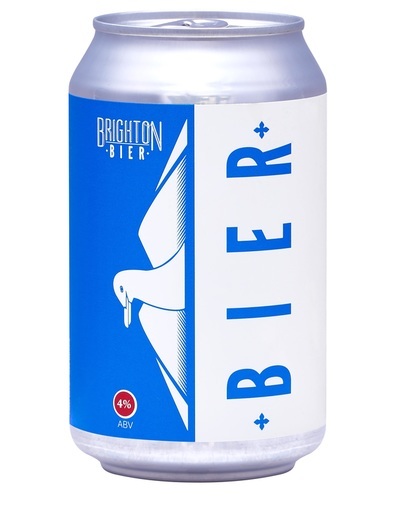 "As well as preserving the freshness and flavour of the beer better than glass bottles, cans have enormous environmental advantages that are particularly relevant to our city" explains Brighton Bier founder and brewer Gary Sillence. Now based at their own premises less than a mile from where it all started, Brighton Bier has grown to be one of Sussex's most successful breweries. "From its inception Brighton Bier was all about developing the beer culture of the city and getting the best possible beer into the hands of Brighton residents and visitors alike. As a beachside city, glass bottles are just so restrictive" added Director Ollie Fisher. As well as being widely and easily recycled, cans also offer significant space and weight savings which reduce fuel consumption whether the beer is delivered locally, nationally or internationally. Once considered the exclusive preserve of mass produced, flavourless lager, cans are now firmly established as the package of choice for many craft beer drinkers. While unsurprisingly this was a trend that began in North America, large UK craft breweries like Brewdog and Beavertown have harnessed this renewed enthusiasm for getting great craft beer into cans. But only recently has small scale canning become realistic thanks to developments in the UK craft brewing sector. Principally, the arrival of companies like WeCan who offer mobile canning services. The equipment and running costs and the huge minimum order quantities make having your own high quality canning line prohibitive for most craft breweries. "When we first started brewing I enquired about shipping a small manual canning machine from Canada" says Gary. "But it just wasn't realistic and to be honest back then people still thought it was mad to put great beer in a can. The landscape has changed beyond recognition". So what next? Well now that they've begun, Brighton Bier intends to be canning a lot more beer. As well as established brews like West Pier, Free State and South Coast IPA, the team will also be launching a number of new beers over the rest of 2016 and beyond. These include Cyclops Eyedrops, Downtown Charlie Brown, Fake Ale of San Francisco and Fat Boy Stout. Brighton Bier Director Stephen Whitehurst explains "One of the huge advantages of the mobile canning rigs is the minimum quantities are quite small. So we can have them visit the brewery and package a number of different brews in one visit giving us much more flexibility". Stephen also commented how this flexibility will enable the brewery to follow up on requests to export their beers to a number of countries in Europe and to Japan. This week Brighton Bier also exported beer to North America for the first time. The new range of beers, along with some favourite brews, will enable Brighton Bier to meet a short-term target of selling in excess of 150,000 cans a year nationally and internationally. Brighton Bier will also be launching a series of can driven beer events in the city including a "Barefoot Beer Festival".